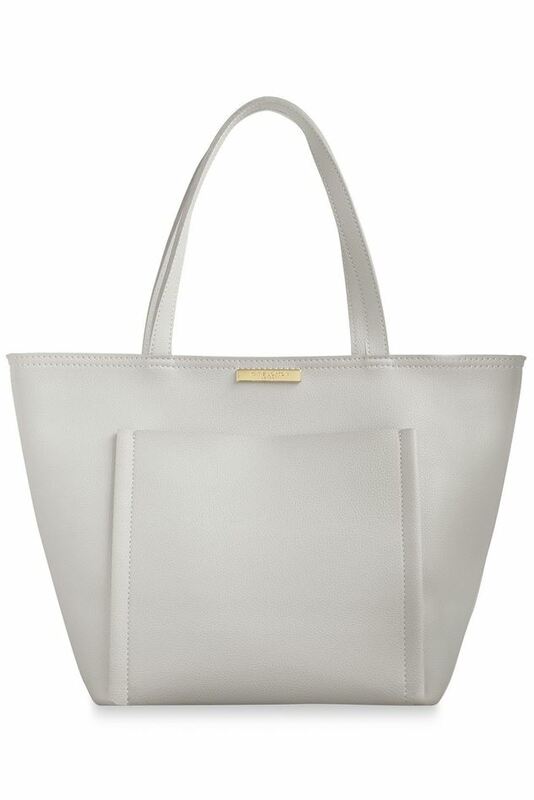 Katie Loxton's Alix Tote Bag is ultra versatile and our go-to bag for any occasion! This beautiful dove grey handbag has a soft leather-like saffiano surface, a large open pocket on the front for style as well as quick access to your girly goodies and a golden logo bar at the top. There are two carry handles and a simple fabric lining inside.